LAS VEGAS -- Fitbug aims to bring the cost of fitness trackers down with its Fitbug Orb tracker. The tiny little pill-shaped device uses an accelerometer to track steps and "aerobic steps" (steps where you're taking a more intense stride, like when you're running). 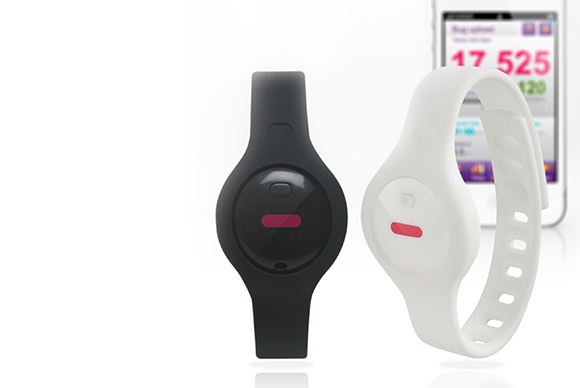 It will even track your sleep if you wear it to bed, letting you see when and how often you wake up overnight. There are two things that get us excited about the Orb: its size and its price. The Orb so small you can easily forget you've got it clipped on, which is key to tracking your every step. It's small enough to fit in a rubber fitness band to wear on your wrist or bicep. When it comes to fitness trackers, the device you can forget about is the one you can use every day. At only $50, the price is low enough to attract fence-sitters and corporate health programs. It?s practically an impulse buy. There's no display on the Orb. Rather, it uses Bluetooth 4.0 to communicate with your phone or tablet (it currently supports iOS, with support for several Android models on the way). You can "push" the Orb's data to your phone, but the "beacon" mode, which automatically syncs at regular intervals throughout the day, is probably the way to go. The Orb will retail for $50, with armbands in a variety of colors for $10, when it goes on sale this spring.